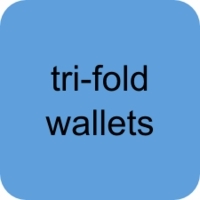 Here's our selection of tri-fold wallets! 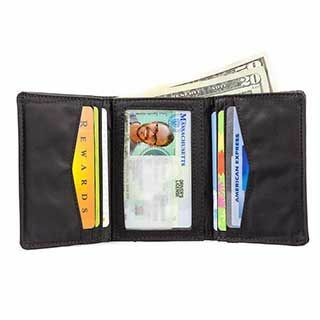 The best tri-fold wallets on the market today are made by BigSkinny, since these wallets remain thin and light despite being able to fit everything you need and then some. 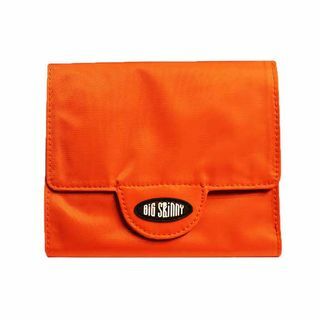 Never again worry about whether your wallet will fit in a certain bag or in the pocket of your favorite pants. You can take your slim BigSkinny tri-fold with you wherever you wander. 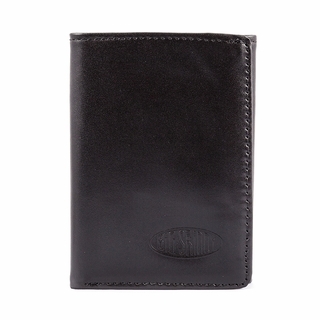 BigSkinny wallets are made from an unprecedented nylon micro-fiber material, and our leather-hybrid line also uses this material in its interior in order to keep the wallets light. 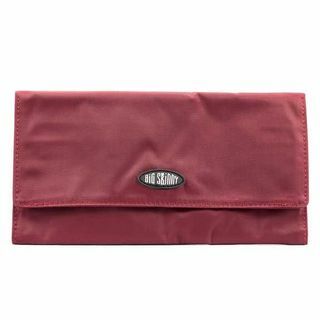 Pick a wallet in a type and color that reflects your personal style, and be sure to purchase a new wallet as a gift for that friend with an upcoming birthday, since a BigSkinny wallet says far more than a pithy Facebook post ever could.